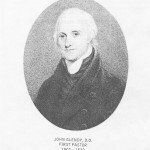 In 1798, following a failed uprising in Maghera against the British penal laws that compelled all people in Ireland–Catholics and “non-conforming” Protestants alike–to join the Church of England, Glendy fled for his life dressed in women’s clothes. He arrived in Virginia where his preaching in Staunton drew the attention of Thomas Jefferson, who invited him to preach in Washington, DC. It was there that he came to the attention of Presbyterian leaders in Baltimore. 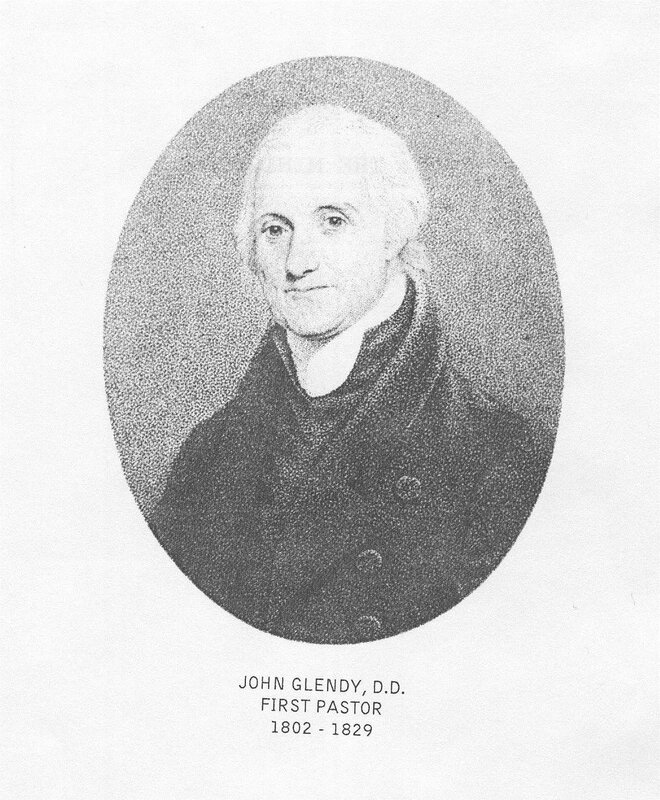 In addition to being Second’s pastor, Dr. Glendy served as a chaplain for the U.S. House of Representatives and the U.S. Senate. Among the prominent Baltimoreans who were founding fathers of the new church were Alexander Brown, founder of Baltimore’s storied investment firm, Alex. Brown and Sons (founded 1800); David Stodder, a shipbuilder who supervised the building of the frigate USS Constellation, which now sits in Baltimore’s Inner Harbor; and General William McDonald, an officer during the Revolutionary War and commander the 6th Maryland infantry regiment during the Battle of North Point where the British were successfully rebuffed during the War of 1812. 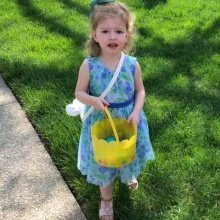 Coincidentally, General McDonald’s estate in Baltimore, named Guilford after the Revolutionary War Battle of Guilford Courthouse, later became the neighborhood of Guilford and the location for Second Church’s current building. 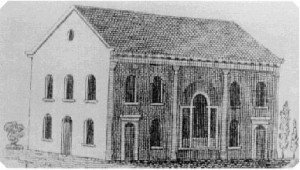 When Second Presbyterian first came into existence in 1803, the new congregation promised its new pastor a new church building. Erected at the corner of Baltimore and Lloyd Streets, just a few blocks from the Shot Tower which still exists in Baltimore, the church’s location was on a major east-west thoroughfare easily accessible to new settlers in the city. Funds to construct the building were raised through subscription, pew rentals and even a lottery. 209 men and one woman pledged $10,480 (about $167,000 with inflation). The sale of pews raised about $13,000, and a public lottery advertised in the American and Commercial Advertiser yielded $7,411. Lottery tickets cost $5 each and prizes ranged from $1 to $5,000. Construction ended up costing more than $35,000. The completed church could seat 1,100 people–considerably more than Second’s current building erected in 1930. In 1807 the church purchased land for a cemetery, which became the Glendy Burying Ground at the corner of what is today Broadway and Gay Streets. Today little remains of the cemetery. The Knox Presbyterian Church now sits on part of the original cemetery site. The remains of many of those buried in Glendy were moved to Green Mount Cemetery in the latter 19th century. Second Presbyterian’s second sanctuary built in the 1850s. In 1849, the decision was made to raze the original building and build a new sanctuary on the same property. The style of the second sanctuary reflected the Victorian aesthetic for highly ornamented details. This second sanctuary at Baltimore and Lloyd Streets served as the spiritual home for members of Second Presbyterian Church well into the 20th century. Following World War I, and recognizing the substantial shift in the city toward the northern boundaries, the church leadership began to search for new property. Although it is easy to forget that we haven’t always been right here at 4200 St. Paul Street, it is certainly worth remembering that for over 125 years of our 200-plus year history, our worship life was centered in a different location until 1924, when the move to the then newly-developed neighborhood of Guilford in the northern part of the city was made. In 1923, Second Presbyterian Church, with a congregation of less than 300 members, resolved to purchase property near the intersection of Charles Street and St. Paul Street. In the move to Guilford only 127 members could be counted on to relocate. 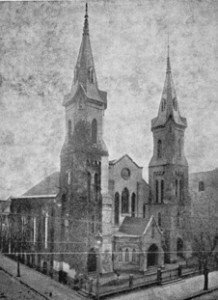 On December 11, 1924 ground was broken for the Church House and Tower. Less than one year later the Annual Congregational Meeting was held in the new Church House, which would later become known as Smith Hall. Designed by the noted Palmer-Lamdin architectural firm, ground was broken for our present Sanctuary and Manse on April 26, 1929. The Manse home for church’s pastor was completed and occupied in December of that year, and the new church Sanctuary was dedicated a short time later on October 26, 1930. The congregation at this service filled the church to overflowing. 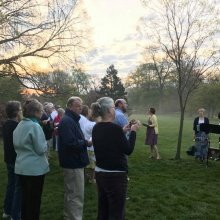 In April 1965 the construction of the chapel and new office wing began, culminating forty years of church expansion and construction in the Guilford area. The Chapel and office wing, mostly paid for by memorial contributions, were occupied in 1966. In 2003 Second Church celebrated its bicentennial. The new coffered ceiling in the Sanctuary is a dramatic feature of the 2011 church renovations. 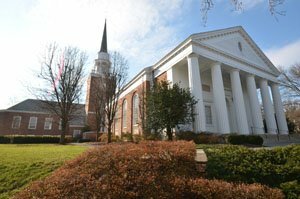 Beginning in 2005, Second Presbyterian planned a major renovation of the Sanctuary, Chapel, and office wing. The “Reaching Out, Drawing Near” capital campaign raised more than $5 million to pay for the renovations. 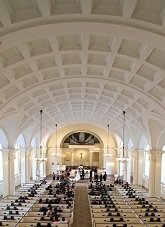 The most dramatic change was the addition of a coffered ceiling in the sanctuary that added greatly to its aesthetics and acoustics. Ten percent of the funds raised were committed to three special mission projects. Construction began in the summer of 2010, and was completed a year later. More than 400 people packed the sanctuary for the grand reopening dedication service on October 2, 2011. The church offices are now located in the former manse house.